Daily discipline is all about having the determination to do what needs to be done, even when you don’t feel like doing it. What is the biggest enemy of discipline? The snooze button on your alarm clock! When the alarm goes off in the morning, spring out of bed and get the day started – no matter how tempting it is to fall back to sleep. I practice discipline every day. My company’s corporate headquarters is on the east coast, while my home with my family is on the west coast. Because I keep east coast business hours, I need to be ready every morning at 5 am my time for our 8 am staff meetings. I’m always fully dressed, including hair and full makeup, ready to go. It would be easy for me to push my meetings later in the day, but I don’t because I want to lead by example in practicing daily discipline. 1. Get to bed early enough each evening to make it easier to wake up in the morning, and set the alarm clock for at least an hour before the household rises. 2. Clean up your workspace every night, so it’s always ready for a new day. 3. Enjoy the peace and quiet for paperwork, creative brainstorming, or crafting your to-do list. 4. 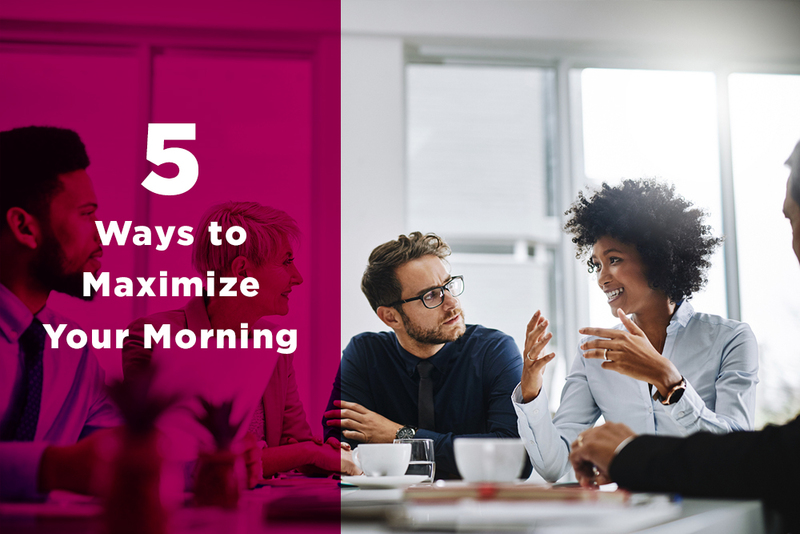 Allocate time in the morning to learn something new, whether it’s reading the day’s news, practicing a skill or simply skimming a chapter in a book. 5. Use the morning to give to yourself, so you can then give back to your family and your world. Practicing daily discipline by using the morning hours to get a jump start on the day will keep you determined in driving for results. Exercising those discipline muscles helps you stretch further as you travel along the road to success.